Raw denim: natural, untouched, and the purest state a denim pant can be. It comes straight off the fabric roll and gets sewn into a proper pant before being shipped off and worn, completely unwashed. Yes, aside from some indigo stained hands (careful where you rub up against), raw denim is the truest, most old-school way to wear your jeans. Cotton, which is naturally white, is dyed with indigo to create the blue in all denim. The attraction with raw is that you are the sole creator of how and what your denim become. The more you wear them, the more the indigo breaks down, revealing a natural fade in the jeans with every wear. 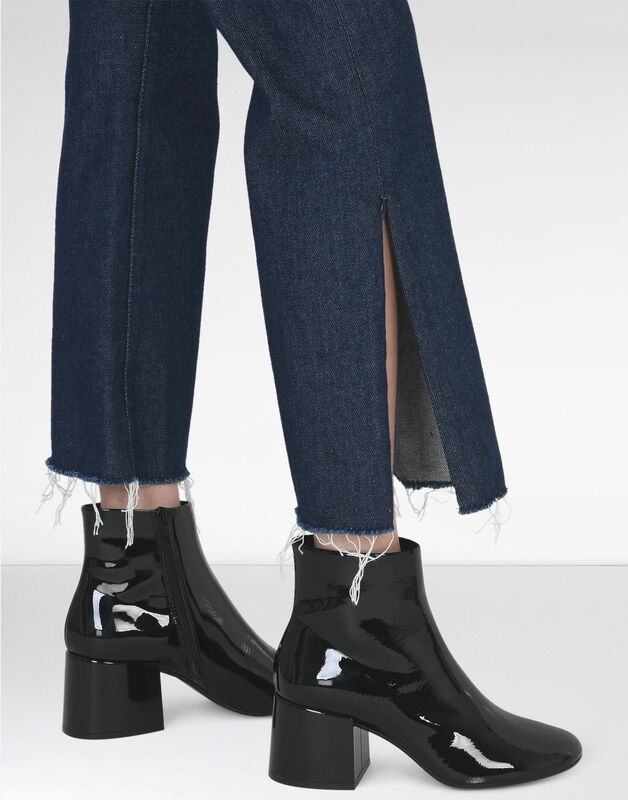 In women’s jeans, it’s a modern aesthetic that become closer to becoming your own, custom-made jeans that can tell your own little story with every fade, rip, and wear. 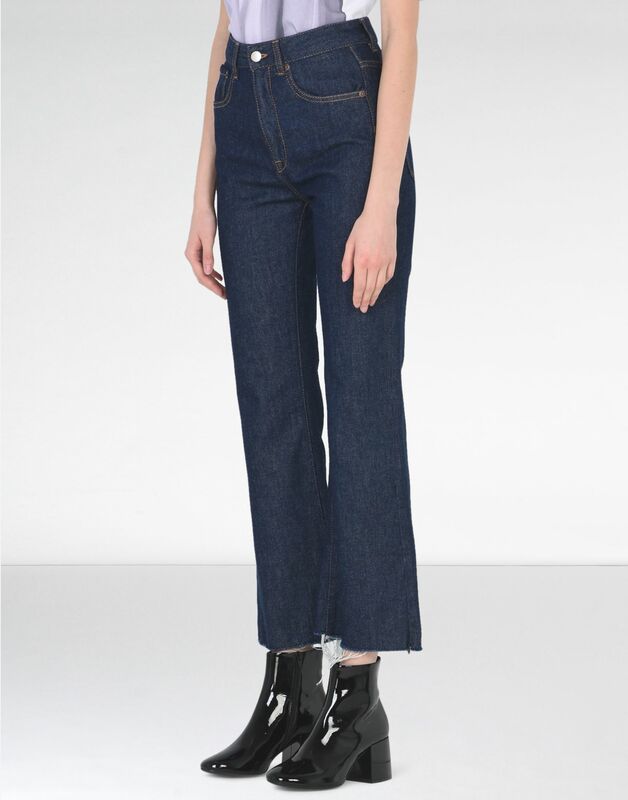 A high-rise, cropped, flare jean with a split on the outseams of the legs. 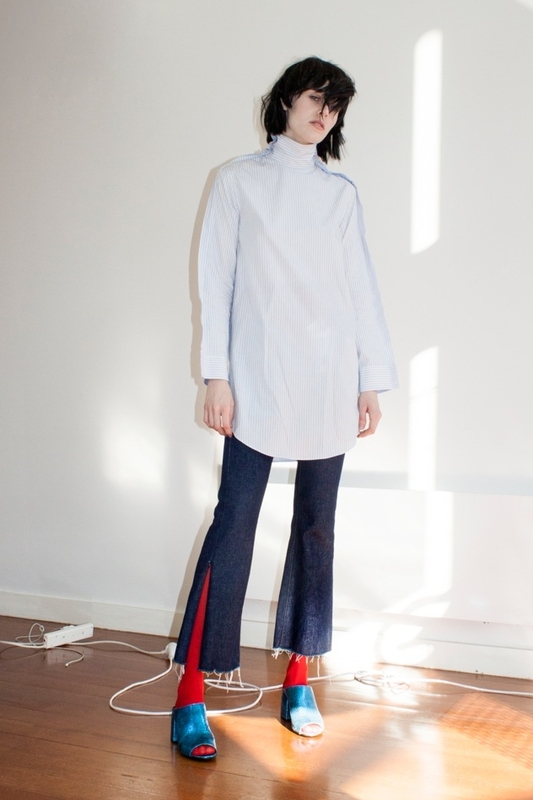 Made in Italy, it also has a raw hem with slight fraying on the ankles. 100% cotton in a deep blue indigo color. On sale now for $158.00 (originally $395.00). 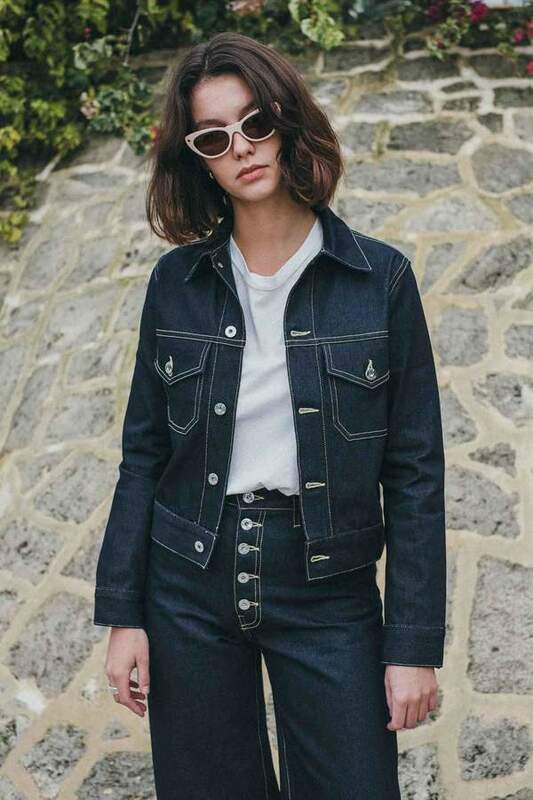 A clean, raw denim jacket can look structured and tailored for a feminine and put-together style. The contrast stitching and and polished silver hardware give it a classic aesthetic, with the jacket hitting right at the waistline. 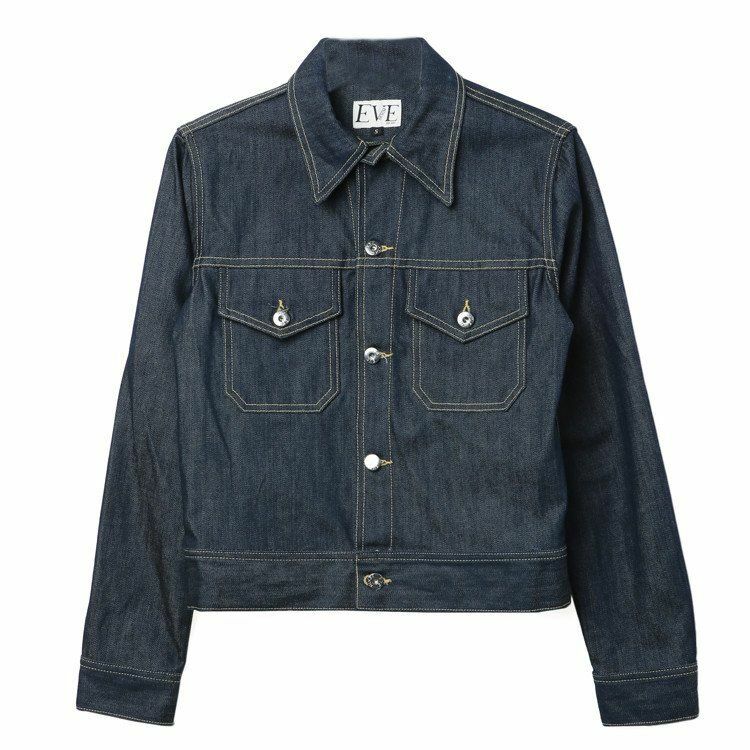 100% cotton, mid-weight cotton denim. 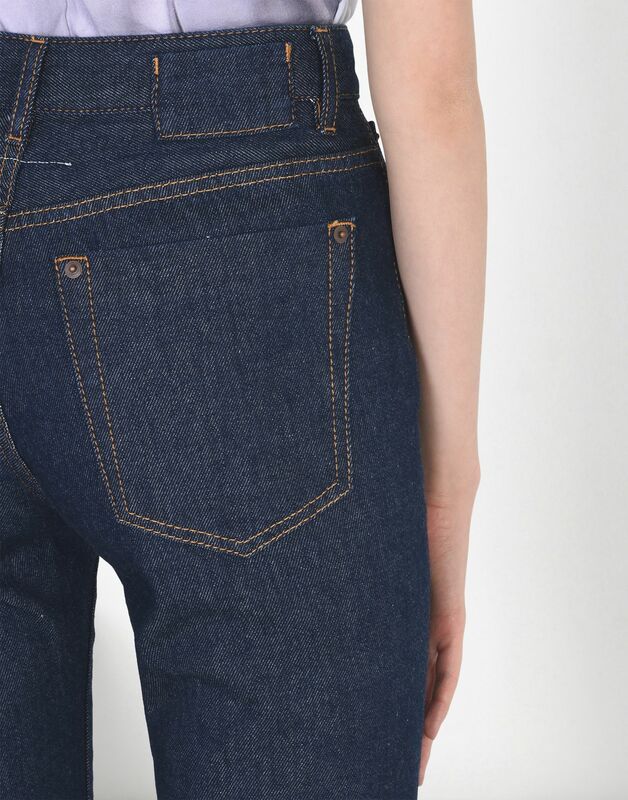 This is a non-basic raw denim jean with carpenter front pockets and high-rise zipper fly. 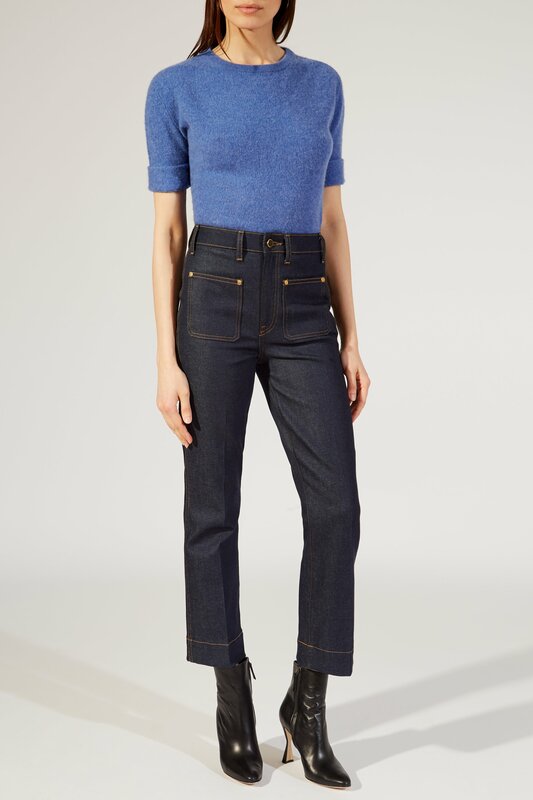 Structured and tailored, these jeans look perfectly fitted and a perfect alternative to traditional trousers. Riveted, patched pockets with marigold topstitching all over. 98% cotton 2% polyurethane, their site recommends to freeze overnight for wash and care.